This is the working space of Future Fabulators, where we develop our work related to Physical Narratives, Context Aware Narratives and Pre-enactments, exploring possible futures through embodied storytelling. 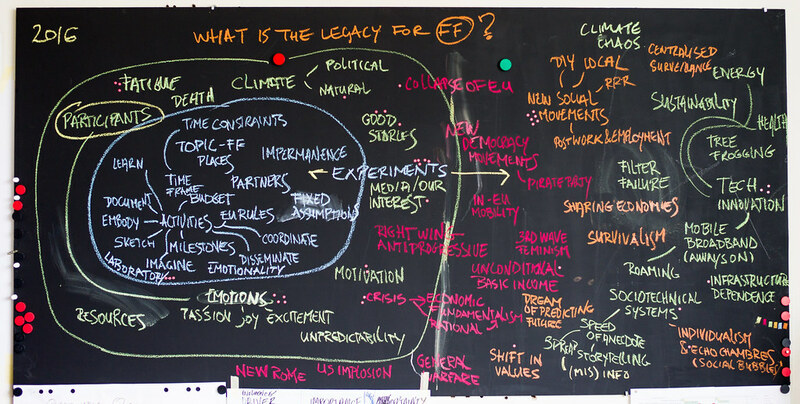 You can read more about the project, discover some of our evolving scenarios, find out about our sources and background research, follow our activity_log or dive into the unwieldy working notes. For more photographic developments see The Future Fabulators Group on Flickr.